The most visited destination in the Krabi province, Ao Nang is flocked by visitors because of its many tourist draws. Because it is situated in the coast of Southern Thailand, Ao Nang’s beach is decorated with a pretty postcard-worthy view and magnificent limestone cliffs. Although its beach – the sand in particular – isn’t as impressive as Patong’s, the wide variety of activities that are offered definitely makes up for it. People can take part in a number of water activities such as swimming, scuba diving and snorkelling. And then after a long day out in the sun, you can get yourself a refreshing Thai massage in one of the many spas in the area. There are also shops selling a wide array of things from souvenirs and local trinkets to fake Rolex watches and tailored suits. For the hungry traveller, the beachfront has countless of bars and restaurants serving all kinds of cuisine, especially Western food which is why it has come to be known as “Little Italy”. 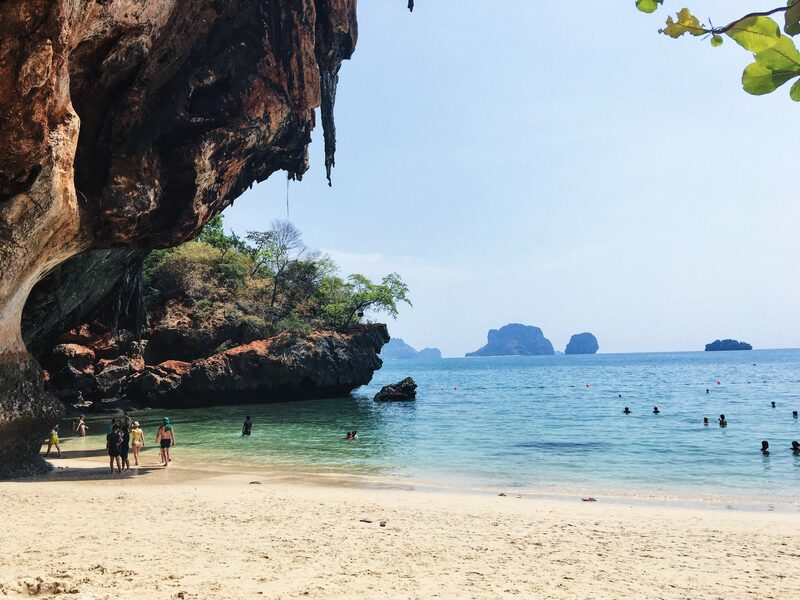 Mostly serving as a jump-off point, Ao Nang is perfect for those who wish to explore Railay Beach, one of Thailand’s most beautiful beaches, and other nearby islands like Ko Hong and Ko Poda during the day and return at night for the town’s nightlife and comfy accommodations. Phra Nang Beach, listed on Trip Advisor’s best beaches in Thailand, is a mere 20-minute boat ride. Even though it doesn’t have any establishments on the island, there are boats along the beach that sell food for a pretty cheap price. Noppharat Thara Beach, which is just 3 kilometers away from Ao Nang proper, is a long stretch of underdeveloped beach which I found attractive because of its natural setting. Most of the people you’ll see here are local folks and youngsters who get together for a picnic. Beach stalls scattered around the beach sell Muslim snacks and scrumptious seafood. Because Ao Nang is Krabi’s most popular tourist destination, there’s a ton of accommodations to choose from to suite your preferences. If you’re on a budget, Aonang Goodwill is an inexpensive guesthouse with clean rooms, fast WiFi and excellent staff. Offering various tour packages to its guests, Slumber Party Hostel is also a good choice for those not wanting to splurge on accommodations. For those who prefer comfort over thriftiness, there is Ao Nang Paradise Resort, Ascot Krabi and the luxurious Cliff Aonang Resort. Personally, Alisea Boutique Hotel, where I stayed, made my whole trip infinitely better. The gorgeous hotel, while leaning more toward the pricey end of the scale, is worth every penny spent from its exceptional service to its beautiful rooms. If you’re flying in from anywhere in Thailand or Malaysia, Air Asia to either Krabi International Airport (KBV) or Phuket International Airport (HKT) is your best bet for a reasonable fare. From Krabi Airport, you have two ways to get to Ao Nang. The fist is riding a shuttle offered by the tour operator desks in the airport. The shuttles that leave for Ao Nang leave every 20 minutes and costs around THB 200 per person. The second option is to ride a Songtaew, a covered truck where passengers sit at the back, which you can find along the streets of Krabi Town. Simply look for a Songtaew with an “Ao Nang” sign and pay the THB 60 fare. These trucks leave for Ao Nang every 15-20 minutes. Travel time from Krabi Tow to Ao Nang varies depending on the traffic, being as short as 30 minutes to as long as an hour. If you’re coming in from Phuket Airport, ride one of the minibuses that will take you to the Phuket Bus Station for THB 100. You have to wait for 10 or more people to board before the minibus leaves for the bus station which is 30-45 minutes away. Once there, look for the bus with Krabi Town as its destination. With a THB 60 fare, the travel time from the bus station to the town center is around 3 hours. There are also ferry options when you plan on getting to Ao Nang from other islands. We took a ferry to Ao Nang from Phi Phi. Just another tip, if Phuket is next on your itinerary and you’re a big group, you can rent a van to take you from Ao Nang to Phuket for THB 2,800. Although it isn’t the cheapest option, a comfortable and relaxing means of transportation can be just what you need after the hustle of travel. Thailand sounds so exotic. I would love to visit there someday. You should, you will like it. Beautiful! The beach is very pretty. I love any beach excursion. I love that you can buy seafood on the beach. Sounds like an awesome place. Awww! Thailand is a paradise Asian country. I only visited Philippines and Japan. I hope to visit Thailand and explore their paradise. That sounds like the perfect holiday to me; thai massages, snorkelling, swimming and beautiful views/ food, what more could you want? I have heard so many things about Thailand’s tourist spots. I hope I can go there and see it for myself someday. Good to know all those things to do, but I could hang out by that pool all day. What a beautiful place. Adding to bucket list. What an amazing look at another beautiful place on this world! Really great info, thanks sooo much for sharing! Never heard of Ao Nang. The photos are amazing. That’s really lovely. They have a lot to offer and it’s such a nice treat because the island is untouched and very clean too. It’s good to discover places such as this! Such an amazing sight. Another reason that pushes me more to book and have that Thailand trip. I have never heard of Ao Nang but it’s lovely. If I am ever in that direction I will def stop by and take it in. wow! your photographs of the beach were amamzing… i’ve been to Thailand but never been to this beach. I’m not much of a beach person, but this location looks amazing. I’ve always wanted to visit Thailand, especially to try real Thai cuisine. I would definitely want to stay at the Alisea Boutique Hotel. It sounds really nice. A trip to Ao Nang would be amazing. What a beautiful place, you’re so blessed to explore world. May I add, I wonder why Ao Nang is the most popular tourist destination in Thailand then I see the great photos that you post, no more questions now! I miss going to the beach, it’s always more enjoyable when there are less people and the beach is untouched by civilization, like this one. 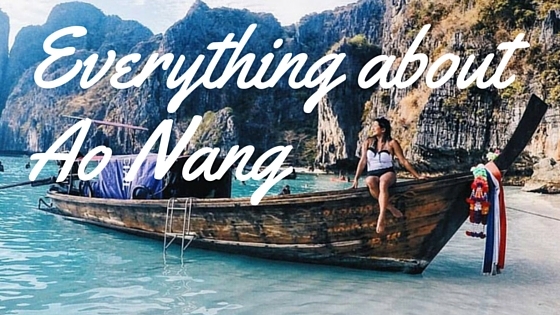 Ao Nang is definitely worth going to! Sounds like lots of fun things to do. Love all the water activities. Would love to taste the delicious westernized meals too. That looks like a very beautiful place. I would love to check that out sometime. Makes me want to take a trip there now. I’m sure my husband would love it too. Oh my goodness it’s so beautiful and I would love to go there. I am obsessed with palm trees and these are the most beautiful palm trees I have ever seen! Must go here! Absolutely amazing!!! I hope I make it there one day! Wow! I love looking at pictures of amazing places like this. Such beauty everywhere! This looks so gorgeous! I have never been to Thailand, but it looks gorgeous! Omg what a beautiful place!!!! Thailand is definitely on my travel bucket list! Love to travel to Thailand one day. Wow, It really looks amazing. I would love to go there and enjoying the view. How beautiful! I’d love to go to Ao Nang one day and explore these beaches! Looks like a paradise! Pinned your post for the future! omgggg i have always wanted to visit Thailand. and your photos are everything. wow. The beaches sound pretty magnificent! I’m adding this to my bucket list! It is my dream to visit Thailand by road; it is almost 4500 km from India and it would take more than 7 hours straight to reach Thailand via Myanmar (another country). So much adventure. Tanks for sharing the most informative Ao Nang travel guide. absolutely a beautiful place! perfect spot for vacation and I really love the beach. Ao Nang looks fantastic! After your review, I definitely want to visit. Thank you! This sounds like an awesome destination!! That pool is absolutely breathtaking!! I would not mind spending a few days with that view! I have always wanted to visit Thailand. It looks like an amazing vacation destination. What a gorgeous place! There’s nothing I love more than crystal clear water and big beautiful formations. I’ve always wanted to visit Thailand. The ocean and countryside are so beautiful, and even the cities have their own special look about them. So cool! This looks like a beautiful place to visit. I will add it to my bucket list. You make it sound amazing! I sure hope I can make it there some day. Just beautiful! I’ve always wanted to go to Thailand! It’s such an amazingly beautiful place! Wow! Thailand looks so beautiful and exotic. I bet it is breathtaking no matter where you are. Great pictures! You definitely have brought Thailand to us and because of your post, I wanna go to Thailand! Thailand looks so romantic, I wanna go there one of these days and have a fun bonding moment with my family. Thailand is big on my bucket list. Not just for its beautiful scenery, but I really want to do a volunteer vacation at the elephant sanctuary. I’ve heard Thailand is amazing and it looks gorgeous from the photos. Definitely an interesting place to visit. This looks like such a fun place to visit for sure, I have never been away from the East Coast in USA, but hope to get out and explore more someday! Looks so beatiful.Would love to Thailand someday. You have shared some fantastic locations. I’ve only traveled to Bangkok which I loved but would love to travel further. You were right when you said that the landscape is worthy of postcards. Beautiful! I have always wanted to visit Thailand. The landscape and the water is just breathtaking. It’s just gorgeous! Definitely need to move Thailand up on my travel bucket list! I love tropical countries because of the weather condition, Thailand looks so refreshing, I want to sunbathe in those beaches! My son’s gf wants to go for their honeymoon. I think it does look beautiful. We have been talking about Thailand. 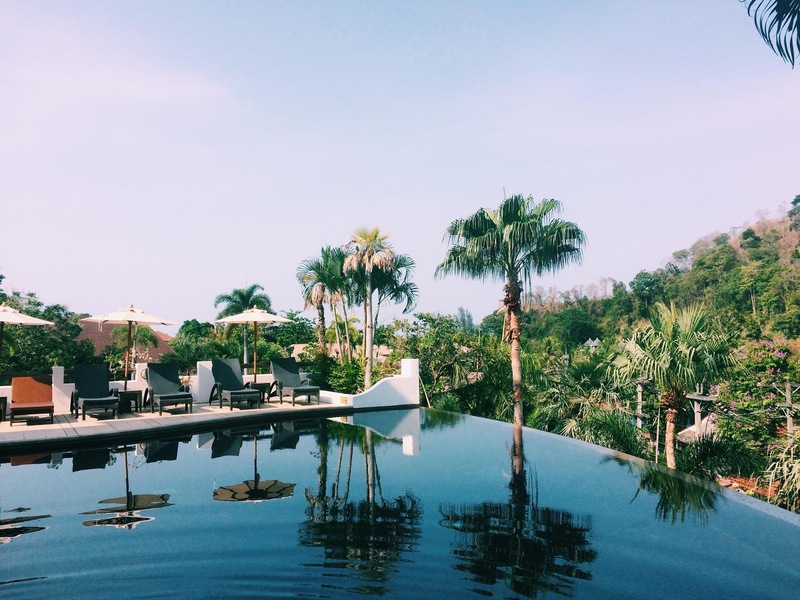 I haven’t done much in Asia but this post shows me Thailand is enthralling! Ao Nang looks so romantic! I want to go there someday and enjoy the tour- the beach, the culture and the local foods! wow, you make me want to travel more and more. This is right up my alley. It’s going on my list. The beach is truly amazing! I heard the beaches in Thailand are fantastic. I would love to go there. I’d love to visit. The water, so clear, is calling to me. Maybe someday! I have always wanted to go to Thailand. Railay Beach is something I would love to see if I ever visit Thailand. This awesome information about what you need to know before going to Thailand. Thanks sharing. That beach definitely looks like it deserves the title of best! Gorgeous! Aonang looks stunning I have always wanted to visit Thailand I just think it is a true tranquil, spiritual haven! My goodness, this is such a wonderful place for a great vacation that could give some peace to the heart. The pictures are gorgeous & so inviting, that beach is quiet amazing to watch. Thailand being one of my favorite destinations, I would take notes from your post. Those photos are beautiful. I have always wanted to visit Thailand. Oh, it certainly does look postcard worthy. I can def see the appeal.